Uniting all the leading DJs in the world. Ravers and revellers rejoice! ULTRA has announced the first wave line-up for the anticipated EDM (Electronic Dance Music) festival in Singapore. Set to return for its third instalment on 15 and 16th June 2018 at ULTRA Park Marina Bay Sands, ULTRA SINGAPORE will be on the schedules of many who enjoy seamless live pulsating beats. The 2018 edition of one of Asia’s biggest EDM music festivals is set to hypnotise the crowd with diverse music mixes from the 28 artists announced to date. Headliners include trance legends Above & Beyond, Afrojack, DJ Snake, Nicky Romero and Steve Angello, who’d be returning to the Main Stage at ULTRA SINGAPORE across the two-day festival. 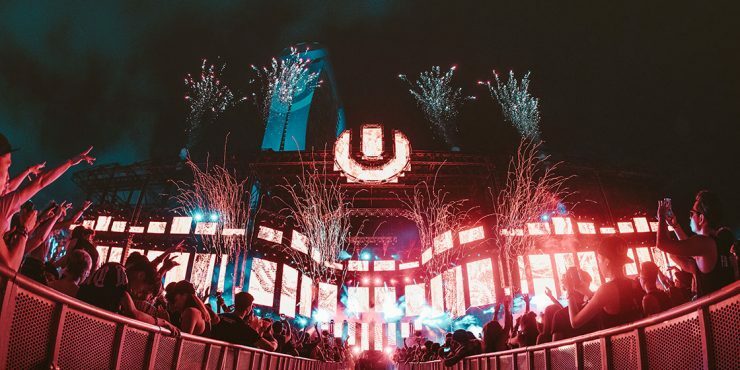 Trap and bass lovers can look forward to the inaugural debut of Miami’s signature Worldwide Stage, which will see the spinning debuts of artists like RL Grime, NGHTMRE + Slander, Illenium and JOYRYDE in Singapore. In support of local and regional artists, ULTRA SINGAPORE shines the spotlight on KAKU, MYKRIS and Singapore’s very own MYRNE, who was the very first local DJ to perform at this year's ULTRA MIAMI in 20 years of the festival’s history. As with previous editions, more acts expected to join the announced line-up, so stay tuned. ULTRA SINGAPORE 2018 will be held at ULTRA Park Marina Bay Sands on 15 and 16th June 2018. Tickets are priced from $170 SGD onwards for a limited time only and are available online.